Are you wanting the dedicated attention that a 1-2-1 session brings? 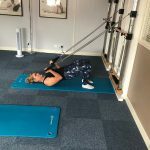 Would you benefit from a full postural analysis, bio mechanical assessment (analysing how you move) and a bespoke exercise programme designed just for you? Maybe you have been under the care of a physiotherapist or other health care professional and need to carry on with your therapeutic exercise. Or maybe you just quite fancy having that time and attention to get your body being the best it can be. Click the link to book in for Personal Training, Release Work or Bespoke Pilates therapy. 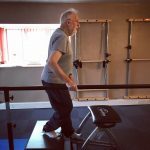 If you suffer from Arthritis, scoliosis, disc hernia, spondylitis, spondylolisthesis or pelvic dysfunction then a bespoke Pilates therapy course is ideal for you. With specialist training we can alleviate the symptoms, give you better quality of movement and life and help you to slow down degeneration. Do you love sports and being active? Would you like to stay injury free AND improve your performance? A course of personal training with Biomechanical assessment will discover what is holding you back and release your full potential. Sports, activities and repetitive movements can all work to shorten or tighten muscles. This can cause imbalance, and even pain, in the body. 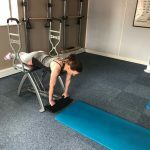 Using high quality, physiotherapist developed release tools and techniques we can work to eliminate that restriction, giving you back the freedom of movement you want and need.